WELCOME to VHS ASSOCIATES INC.
VHS Associates Inc is a full service design & construction management company located in San Anselmo, California. Our aim is to apply our knowledge and experience to our clients' construction needs. We help you with design, management, and inspection of your project. We serve private and public clients. 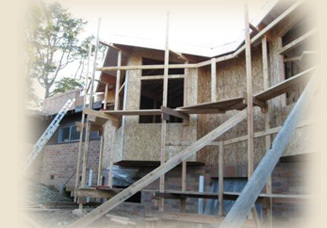 Our work is completed in a timely manner, with neatness and efficiency, paying special attention to detail. We take pride in our ability to work with construction contractors to solve the problems that inevitably arise on projects. We work with the owner to monitor the budgets and minimize unanticipated costs. We help you to save time, energy and money. For our insurance clients we have decades of experience identifying the compromised components of damaged structures, devising practical solutions, and estimating the costs of repairs. Also, we are pleased to announce that we have joined LWG's Expert Alliance Program, a multidisciplinary network of worldwide engineering experts. If you have need of our services for clients that have closed vendors list, LWG is on a number of them. Copyright © 2012 VHS ASSOC INC. All rights reserved.